Access Type: empire access: empire layer is lifted up to access nursing openings in the inner layer. 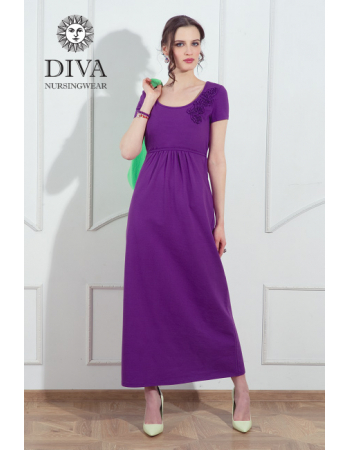 A Diva Dalia nursing dress for breastfeeding is fabricated from a high-quality cotton fabric with a small touch of spandex. It can be worn with any style and any time: during pregnancy, during breastfeeding and afterwards! Jersey cotton fabric is ideal for both pregnancy and nursing: it stretches well, but keeps its form perfectly. You can lift up the empire layer many times for nursing but it still looks like new. It is also adjusting well to your changing body.